Is dental cleaning necessary? Safe or bad for tooth enamel? 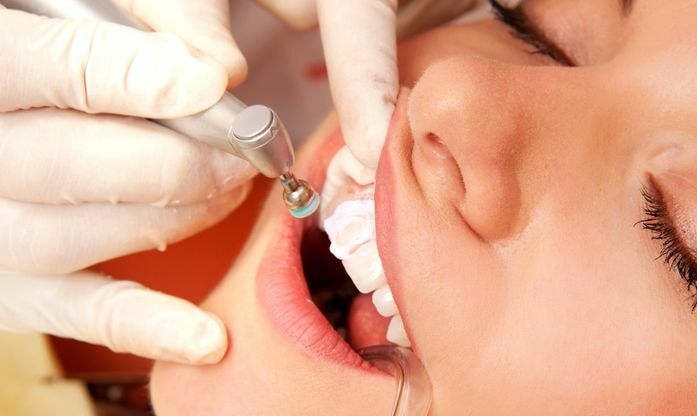 Dental cleaning is something that is recommended that you have done at the very least every 6 months because your teeth are continually bathed in saliva which contains calcium and other substances which help strengthen and protect the teeth. While this is a good thing, it also means that we tend to get a build-up of calcium deposits on the teeth. This chalky substance will eventually build up over time, like lime scale in a pipe or kettle. Usually it is tooth colored and can easily be mistaken as part of the teeth, but it also can vary from brown to black in color. If the scale or calculus (tartar, as dentists like to call it) is allowed to accumulate on the teeth it will unfortunately provide the right conditions for bacteria to thrive next to the gums. The purpose of the cleaning and polishing is basically to leave the surfaces of the teeth clean and smooth so that bacteria are unable to stick to them and you have a better chance of keeping the teeth clean during your regular home care. Thanks to technology the most commonly used instrument these days is an ultrasonic machine. It works using vibrations and it actually knocks off the tartar build up with these vibrations. Most of these machines these days now also spray a cooling water that will wash away the build up as it is coming off and make sure that nothing gets to warm. There are no real known risks or side effects with this kind of cleaning and unless you have very badly damaged enamel you should not see damage to your teeth either. One problem that some have noticed is some gum sensitivity after use. This most often happens when you have some underlying gum issues to work out and you should speak with your dentist about them.